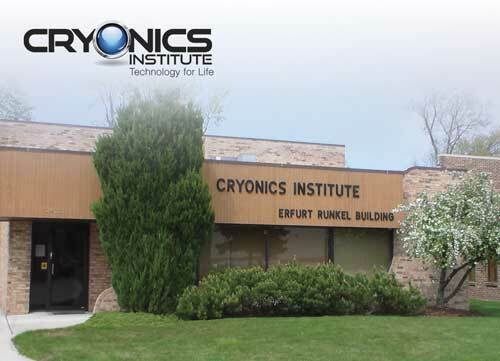 However, as the stewards of Robert Ettinger’s legacy, we believe the Cryonics Institute is the organization most vested in advancing cryonics, and as such, offers significant advantages over other cryonic suspension providers. Our prices are lower than any other organization — in fact, the most affordable prices anywhere in the world. We set our prices low because we exist only to benefit our members - we don’t want to overcharge ourselves. The Cryonics Institute’s state-of-the-art cryonic suspensions are performed by our team of experienced and trained cryonics professionals, using what we consider to be the best scientifically tested and proven procedures, equipment and vitrification formula available. Robert C.W. Ettinger himself was cryopreserved by CI in 2011. A close examination of the late Mr. Ettinger’s own cryonics case report proves that a superior suspension need not involve expensive remote standby services. Solid planning utilizing local resources is a lower cost, and often superior, solution. We anticipate greater growth and stability through increased membership and by helping people from all socioeconomic groups. All of CI’s directors and officers are directly elected by and from our membership, giving our members institutional oversight and ownership. Many CI members volunteer time and resources, receiving no pay other than the pride and satisfaction of helping one another. All decisions are made by our members, for the benefit of our members. We have no bureacracy, and no decision-maker has any financial interest except to benefit the organization. Spending large sums of money for remote standby services, unfortunately does not guarantee a successful suspension. Members must take an active role in planning and not be lulled into a false sense of security. By such arrangements, Robert Ettinger himself illustrated this point through the common sense cooperation between his family and friends. He didn’t need to spend an extra $170,000 to receive an optimum suspension. However, when evaluating remote standby it is wise to consider the question of time and distance from the remote standby team and the cryonics service provider. Indeed, this is recognized in many life-saving situations. While it would benefit a cardiac arrest patient to have a team of medical professionals “on call” to perform CPR when needed, it wouldn’t help this patient if that team was two hours away and arrived too late. In contrast, a simple network of laypeople five minutes away with the capability to perform CPR would have a much better chance of saving the patient. Similarly, a vast network of volunteers is the gold standard for most of the world’s rural fire and emergency medical services. In the case of cryonics, almost every city has funeral directors willing to provide quick cool down and transport to CI. We welcome you to shop around and ask questions. When you consider the alternatives, we’re confident that you will agree we are the best, most affordable and most trustworthy cryonics organization available. Alcor,Trans time, And Krios Russia do not offer standby as an option but instead mandate their members to pay for centralized remote standby. CI offers it as an option through SA. We give our members the freedom to chose between centralized remote standby or saving thousands of dollars with local decentralized standby. While CI offers tissue & pet suspensions to all of its members, Alcor only offers this option to members with fully funded suspension contracts in place. ACS contracts with CI to store their patients. ACS does not store patients of their own. Our philosophy is to always preserve the entire body and perform only full-body cryopreservations. The cost of a CI whole body suspension is still $52,000 less expensive than the current neuro (head only) options elsewhere. Although we do not disagree with the neuro option on technical grounds, we think that most people agree a full body suspension is best, even if we expect that nanomedicine will eventually be able to replace and repair biological tissues. (Suspended Animation) does remote standby for CI, Alcor and any other cryonics storage organizations within the continental United States. SA does not store cryonics patients. Not all CI members have fully funded suspension contracts. See membership details for more information. It is our hope to eventually have all our members signed up for full suspension but do not push this. We know cryonics is a big decision and recommend members fully explore and understand what they are signing up for before they rush in. Similarly, Alcor has associate members who pay reduced dues but are not signed up for suspension. CI is not affiliated with, and does not end provide an evaluation of, any of these organizations. This information is based on what we understand these organizations to be stating regarding their services. You should independently investigate any cryonics organization (including CI) which you are considering.